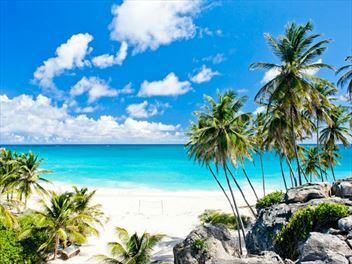 All-inclusive Barbados holidays don’t have to mean overfilled resorts and a lack of the personal touch – our selection of all-inclusive hotels cater to your luxury needs whilst still providing excellent value for money. 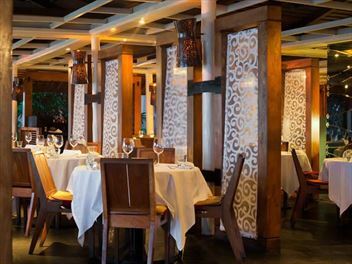 From The SoCo Hotel offering an a la carte basis as standard to the stunning Crystal Cove resort, these are all-inclusive accommodations with flair. 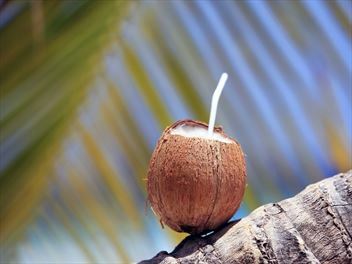 Newly refurbished beachfront hotel based on the South Coast, close to Oistins with access to two beaches. 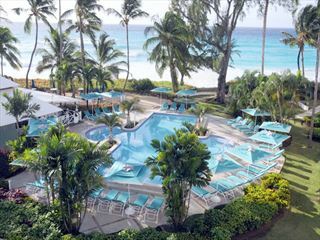 This brand new family-friendly all-inclusive resort sits on the south coast of Barbados. 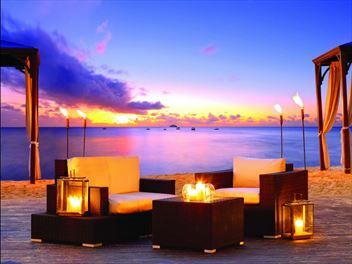 Enjoy the two swimming pools, the five great restaurants and direct access to a pristine sandy beach. 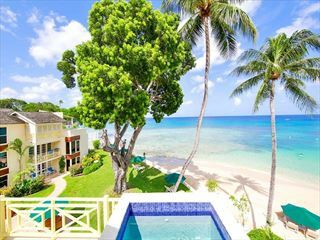 An enchanting blend of vitality and Caribbean charm, Crystal Cove is nestled on a lovely beach front cliff spanning one of the most idyllic locations on Barbados’ renowned West Coast. 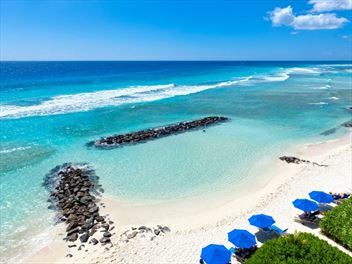 Located on the South Coast of Barbados on the beautiful Dover Beach and within walking distance of the vibrant nightlife in St. Lawrence Gap. 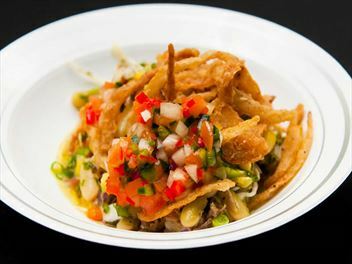 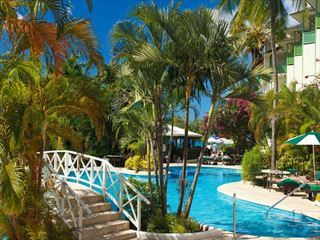 In keeping with Sandals Resorts standards you’ll find an excellent Luxury Included offering here. 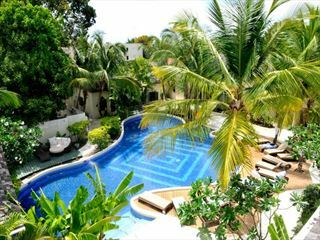 Set on a beautiful beach on the west coast offering an ideal location for those seeking the convenience of an all-inclusive holiday combined with the personal service of a smaller resort. 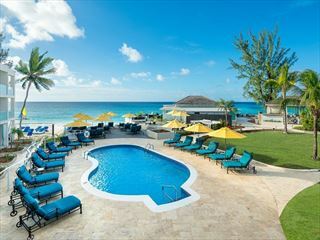 A beautiful, newly refurbished hotel on Barbados' Platinum Coast with stunning views, great facilities and comfortable rooms that makes for a wonderfully relaxed Caribbean break. 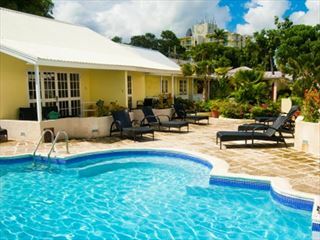 Part of our boutique hotel collection, Island Inn is a hidden gem situated less than a mile from the centre of Bridgetown, conveniently close to shops, restaurants. 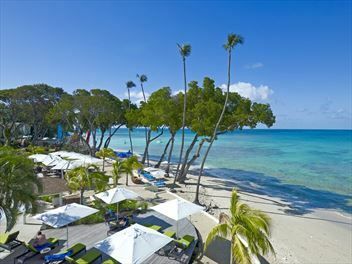 Though not an ocean side hotel it is just steps away from the beach at the beautiful Carlisle Bay. 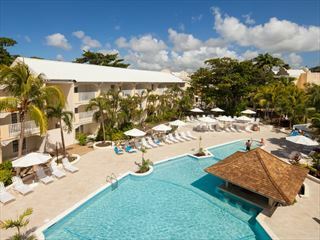 A lively all inclusive resort that has been recently renovated featuring all Junior Suites and Suites for accommodation. 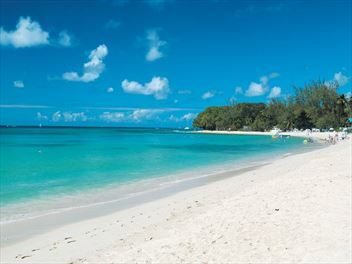 It is ideal for a fun all inclusive holiday on the lively south coast all set on a stunning sandy beach. 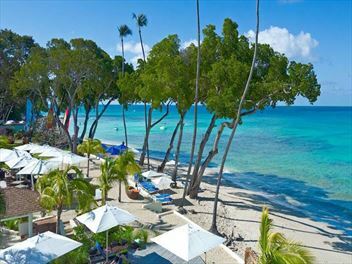 Nestled on the sugary sands of Paynes Bay on the luxurious West Coast of Barbados, the adult-only Treasure Beach by Elegant hotels offers style and luxury with its 35 ocean-view villas, plus a range of wonderful water sports, a freshwater pool, and a divine, romantic restaurant. 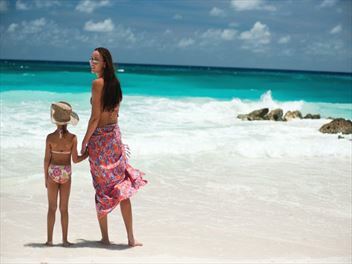 Let Tropical Sky arrange your all-inclusive holiday of a lifetime to Barbados. 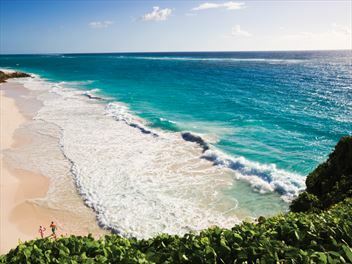 Enjoy the unique scenic beauty the island has to offer with its rugged coast to the east, and clear calm waters and white sandy beaches to the west and south. 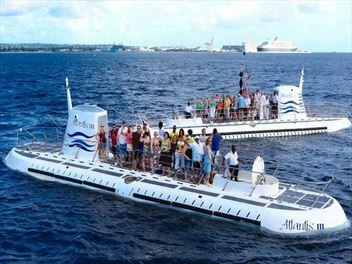 This diamond of an island has much to offer with a multitude of activities to take part in, many of which are included in the price of your stay. 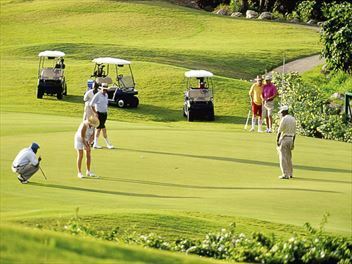 Needless to say water sports are a great attraction, along with tennis, volley ball or maybe even try your hand at golf. 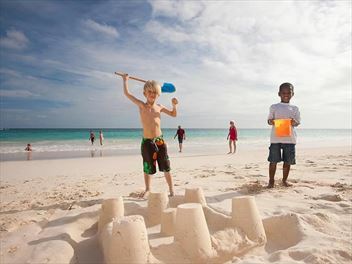 Of course, the beauty of staying in an all-inclusive hotel is that it takes the strain out of the holiday, as nearly everything you could ever want is provided for you… from the food and drink, to all kinds of activities and entertainment, including access to kids clubs, non-motorised water sports and evening entertainment. 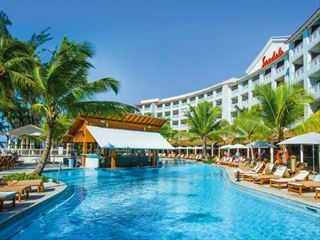 Check out our great packages to see exactly the options available in your all-inclusive deal of choice. 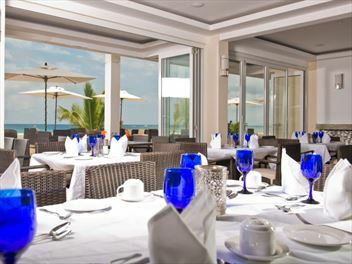 Try the Tropical Sky exclusive SoCo Hotel at the start of the south coast boardwalk for all-inclusive on an a la carte basis as standard, rather than a buffet. 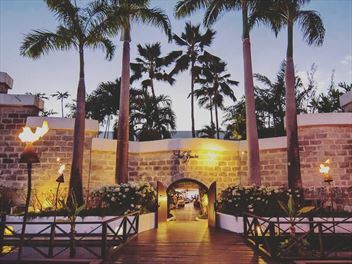 Alternatively, if you’re attracted to the tranquil beaches of the west coast, take a look at Discovery Bay by Rex Resorts, which boasts gorgeous plantation-style houses amid manicured gardens. 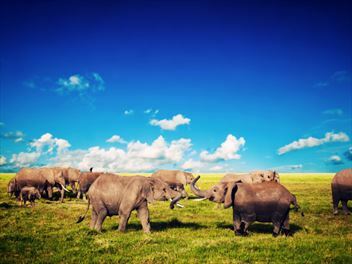 Besides the activities included in your all inclusive package, there are some scenic walks to enjoy. 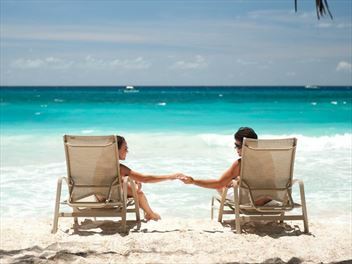 From Hastings village you could take a leisurely stroll along the Boardwalk where you can explore the bars and excellent restaurants in the area or maybe take a romantic stroll in the evening and enjoy one of the beautiful sunsets. 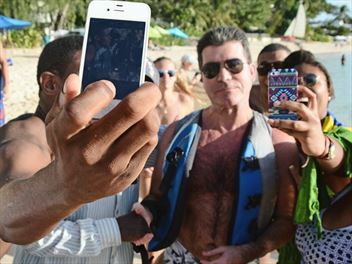 Although the place is geared towards a more tranquil holiday there is still plenty to do, perhaps take a trip out in a glass bottom boat, or just relax and enjoy an indulgent massage in one of the luxurious spas. 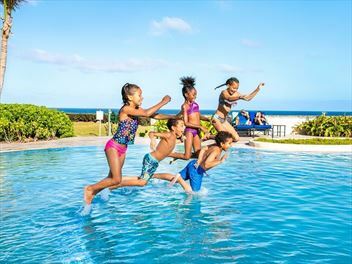 All inclusive hotel stays not only offer you excellent value for money but the added convenience of being able to forget about bills and budgeting, which means you can be assured of a truly carefree holiday of a lifetime. 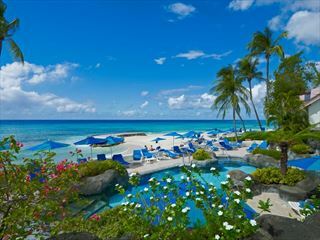 Call one of the friendly travel experts at Tropical Sky today to begin planning your all-inclusive holiday to Barbados.